Goodreads Summary: Clay Jensen returns home from school to find a mysterious box with his name on it lying on his porch. Inside he discovers thirteen cassette tapes recorded by Hannah Baker, his classmate and crush who committed suicide two weeks earlier. I have heard so many good things about this book for a while, so when I wanted a powerful contemporary novel to read, I decided it was time to read this book. Once I picked it up, I read it straight through in one sitting. Jay Asher has weaved a tale that is completely engrossing and one that will leave you thinking long after you've read the last page. Clay Jensen has missed Hannah Baker since her suicide two weeks ago. But he never expected to have the chance to find out why she killed herself. Then one day, a box of cassette tapes shows up on his doorstep. 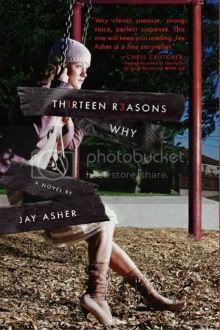 Once he starts listening, Clay learns that there were thirteen reasons that Hannah killed herself, and she considered him one of her reasons. Clay spends the night listening to her tapes, following Hannah's map around the city to the locations where some of the events she retells took place. As Clay tries to piece everything together and wonders what his own part in this was, he remembers his own version of the events, learning a great deal more about his classmates than he ever knew before. But when he finds out why he made the list...what will he do with the knowledge? It's hard to talk about what I liked in this book, because it's certainly not happy. 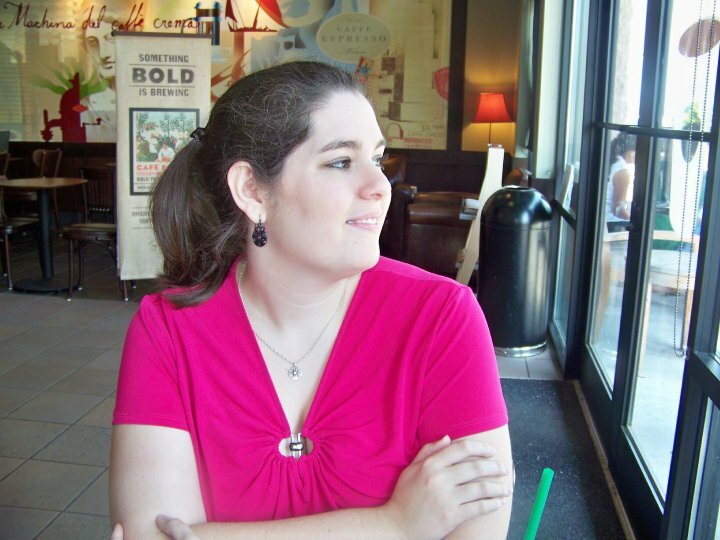 However, I was immediately drawn into the story, wanting to know what all of Hannah's reason were and how Clay, who is clearly such a sweet, nice guy, was part of this. I loved the dual narrative of Hannah's tapes and Clay's reactions to and opinions about what she'd said. This really added depth to the story and emphasized the point that not everything is what it seems. The same is true of Clay following Hannah's map through the town; Hannah's tapes helped him embark on an emotional, metaphorical, and physical journey. Hannah's story was very intriguing and I appreciated finally learning how everyone and everything related to each other. While I really liked Clay's character, I had some issues with Hannah. Although some of the points that she made were very true - people don't know what others are going through, and people don't always know the far-reaching effects of their actions - she was also very limited by her own context. She shut down instead of opening up, and even when she found something good she wouldn't let it change her mind. I know that this happens, and while it was frustrating, that is one of the great things about this book - hopefully it will reveal that there are choices and options other than suicide. This book and the message that it carries are certainly very powerful. I can only hope that the people who need a book like this will find it and let the story encourage them to think. Given the power of this story, I cannot wait to read Jay Asher's next book, The Future of Us. I picked this book about a wile ago and I've been meaning to read it.. but I kind of wonder if you need to be in a certain sort of mood for it? Novels like this can be tough to read, so I've putting it off... for now :) but I keep hearing positive remarks about it.